We are local, we source local and grow our own herbs & produce. A real, local,Certified Organic Leafy-green salad...on April 1st? In Nova Scotia? With big thanks to our friends from Abundant Acres (https://abundant-acres.com), here is our latest green market salad featuring Nova Scotian greens, goats cheese & carrots. Plus, garlic croutons made from scratch in our bakery with a housemade dressing! It takes a bit of extra effort to make this happen but how great is it that when you buy your 'Market Salad' that not only does it taste great, but that the money stays within our local market! And, we just have to mention, that the greens on this salad are so tasty. Why? Mostly because they were just picked a few days ago right out of the poly-tunnels and greenhouses at Abundance Acres. Available at all PAVIA locations and on our catering menu! 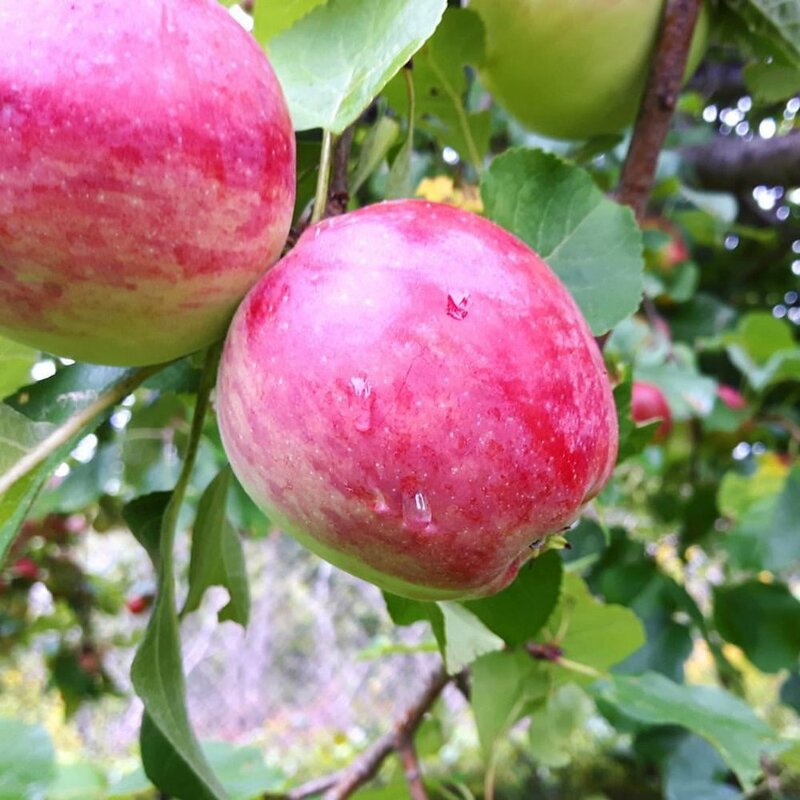 As of an hour ago, all of the apples grown in the PAVIA Gardens have been harvested and are now in the cellar at PAVIA in Herring Cove. From there they will be turned into delicious things by our bakery and culinary team. Apple Galettes, Apple/Cinnamon Crumble Muffins, toppings for beautiful pastries, apple butter and more! 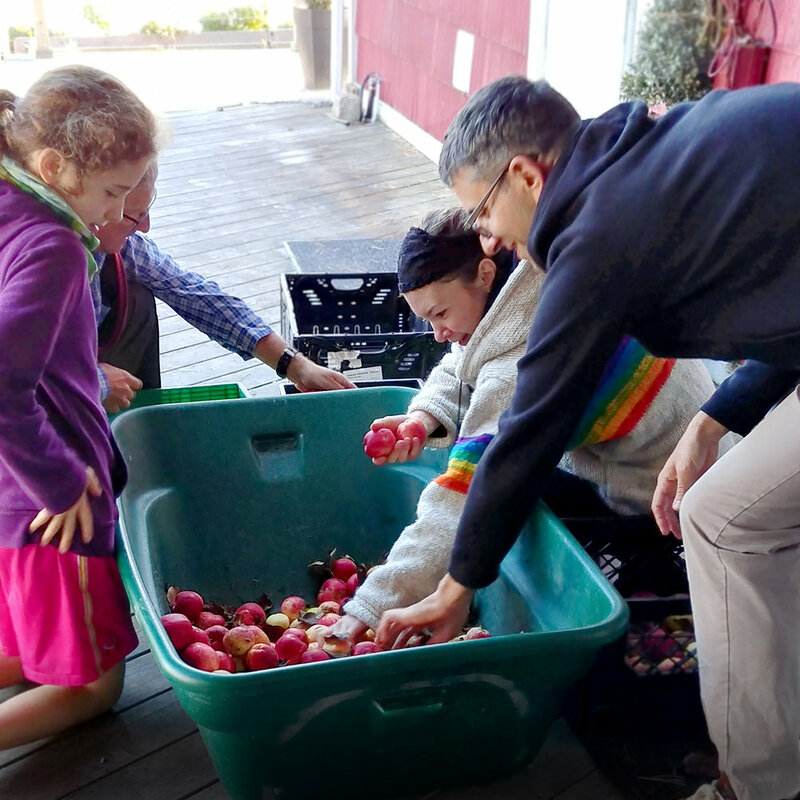 A big thanks to the apple-sorting crew made up of (from left - clockwise) Maddalena, Peter, Maryanne and Christopher! Now that the wheelbarrow is empty again, the next task in the garden: Weed out the biggest, yet to be used raised bed and plant hundreds of garlic for next season...photos to come! In the news: "ENTREVESTOR: Pavia leads the way in ethical sustainability"
This article appeared in the Chronicle Herald Today! We are thrilled that more people will learn about the work we are doing. 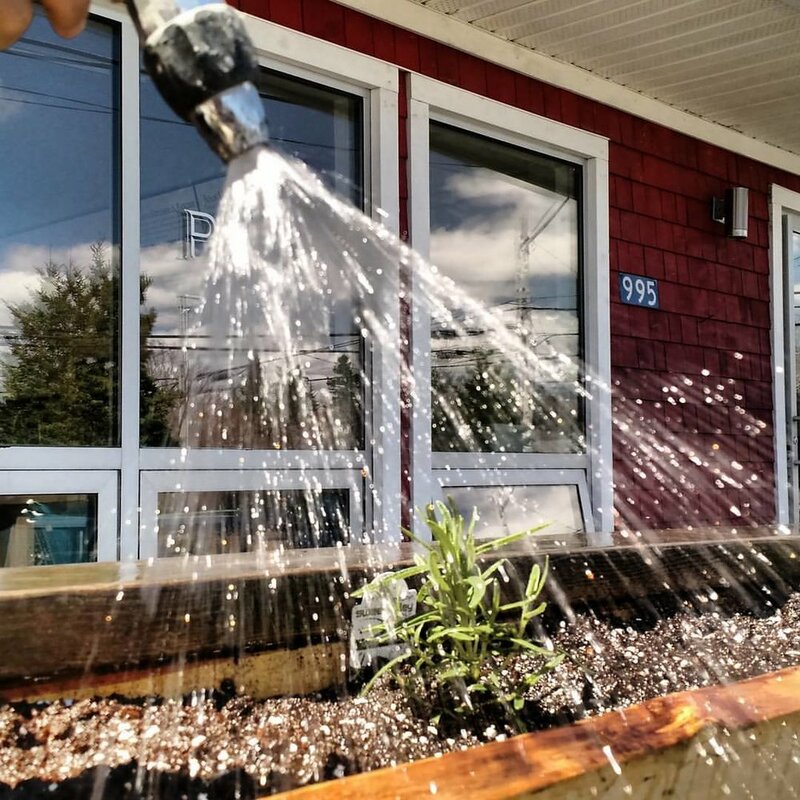 "After cementing relationships with suppliers of biodegradable plastics and ethically sourced sugar, the founders of Nova Scotia’s Pavia Gallery Espresso Bar & Café are now celebrating an Ernst and Young Entrepreneur of The Year award. Victoria Foulger, Pavia CEO and co-founder, was presented with the hospitality and tourism award for the Atlantic region last month. “Pavia has won many awards but this turns the spotlight on Victoria’s leadership,” said her partner in business and in life, co-founder Christopher Webb. That leadership includes making decisions that prioritize ethical concerns that..."
Click HERE the link to read the entire story! PAVIA just got a little bit sweeter! 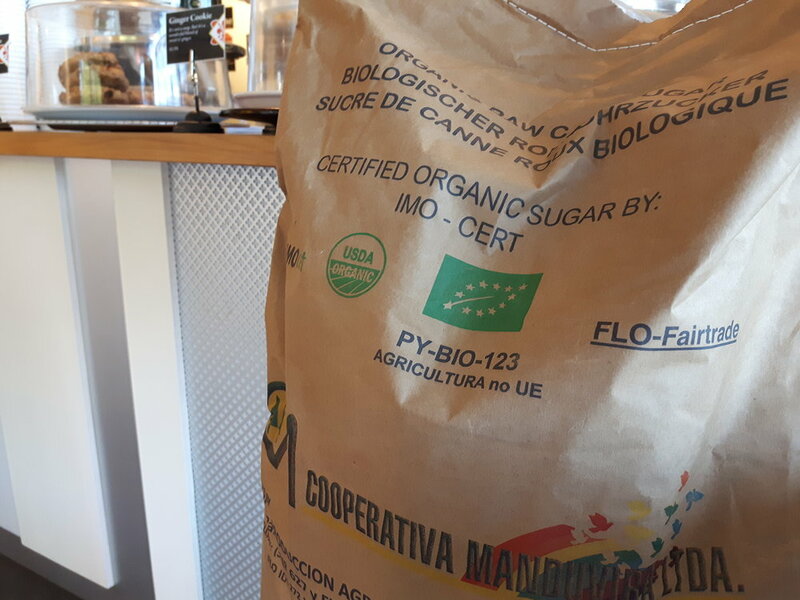 We have been on a mission to source fairly traded sugar for a while now, but yesterday, it finally happened: Our fair-trade sugar arrived from the La Siembra Co-operative - which most people know as Camino! As a small, local, independent business we do the best we can do wherever we can. Our emphasis is on forming good relationships with as many of our suppliers as possible and buying locally grown produce wherever possible. 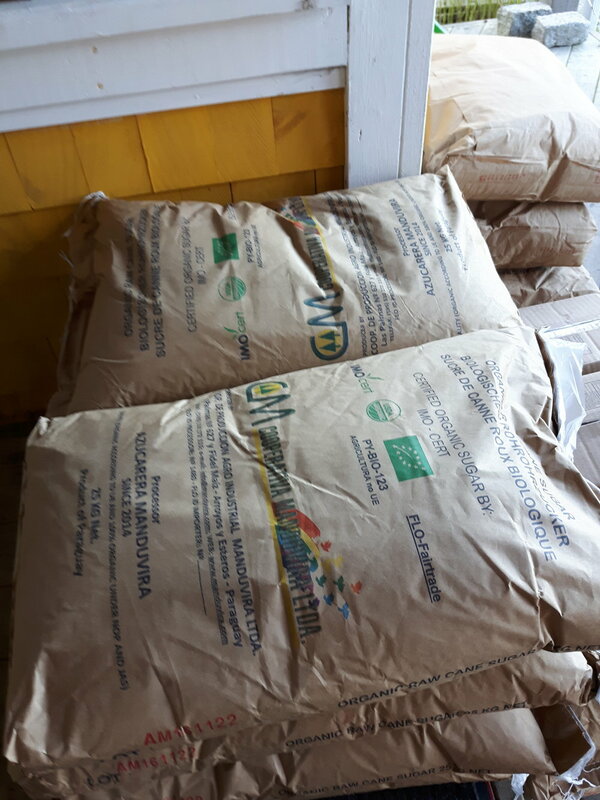 We are constantly looking out for 'better' products and products which we feel good about selling - and our partnership with the La Siembra Co-Operative is our latest! Over the coming weeks all of our baked goods will be made using exclusively fairly traded sugar...we just need a bit of time to tweak the recipes to make sure they are even better. We bake everything from scratch! Sometimes we forget to tell people this important fact: We bake everything from scratch! One of our three bakers arrive at our bakery at PAVIA in Herring Cove daily anywhere between 2 and 3am. This morning Natalie came in a bit earlier because she had to help finish packaging 260 little sweet bags for one of our favourite catering clients. We snapped this photo just as Reed (one of the three people who drive the PAVIA delivery van) arrived to start loading and delivering items to all of our 4 locations. If you look at our list of suppliers list - http://www.paviagallery.com/links/ - you will see that we work really hard to source amazing ingredients. With that, once we do source them, we have some very talented people who create the sweet and savoury items you enjoy every day at PAVIA! 5:47am - according to the bakery i-pad. 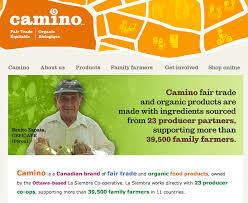 La Siembra are committed to a model of equitable trade rooted in co-operation and the social solidarity economy. They offer consumers high-quality ethical products through partnerships with producer co-operatives that foster sustainable livelihoods and community development. They believe in meaningful, dignified employment and are guided by the co-operative principles, by the fair trade principles, and by a respect for the environment. These products will be found in all of our baked goods, catering and cafe food items. Popped out to the PAVIA Gardens late last night to gather beans for Crudités for an upcoming catering on Spring Garden Road. This bean was hanging from the arch way and was at least 3 times the length of the others! We used a flashlight to go bean hunting. We also managed to find a few cucumbers and a tiny zucchini. Also noted: the pumpkins are a no go, however, we have a prolific watermelon patch! 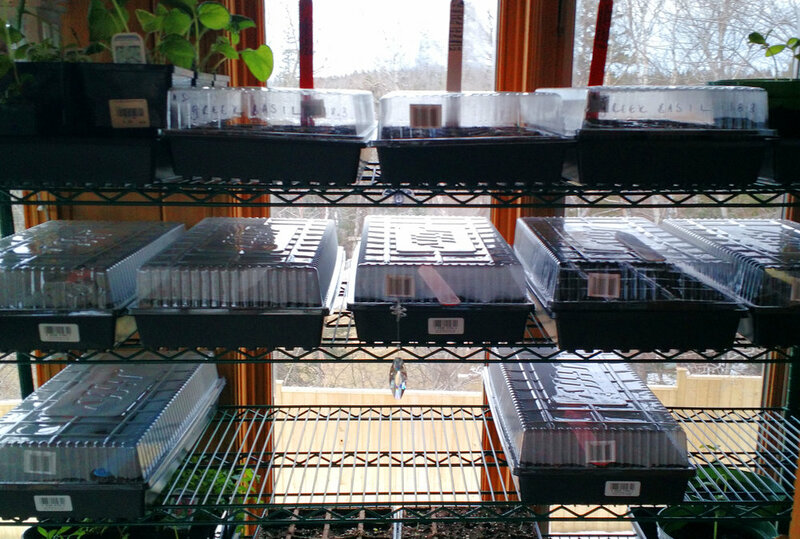 The reality is that we are gardening in the hopes of supplementing the produce that we use at PAVIA. This means that the garden is a part of the whole process - as opposed to single project in isolation. What does this mean? It means that I don't get to post things as often as we would like. With that said, however, I am very pleased with the progress thus far. For year 1, it seems to be going okay. We are uncertainn as to the space will yield, but that will be revealed in the months to come! For those of you who have just clicked onto this blog, it is a work in progress. Essentially, we have taken short Facebook & Instagram posts and put it into this format to start the PAVIA Garden's Blog. Over the coming weeks we will start filling in the blanks are begin to tell the story of our food philosophy and how we put it into practice on a daily basis. We hope you follow along this adventure with us. Stay tuned for more...there is lots to come! 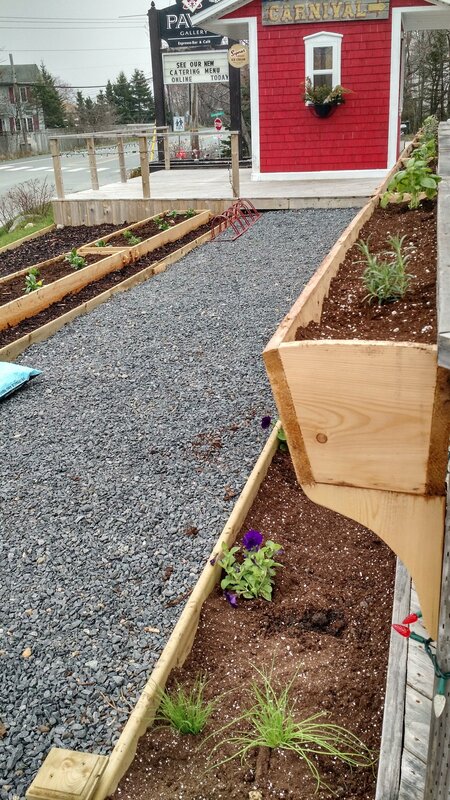 Yesterday, after talking about it for almost three years, I managed to get out and plant in the front of PAVIA in Herring Cove. 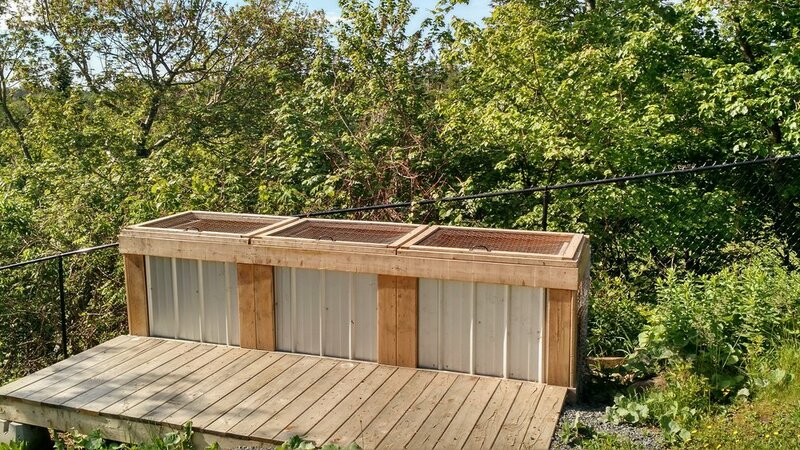 We are waiting for a new bike rack to arrive, but all in all it is much nicer than before and hopefully, by mid/late June we will be able to start using the herbs! The PAVIA gardens are starting to grow. 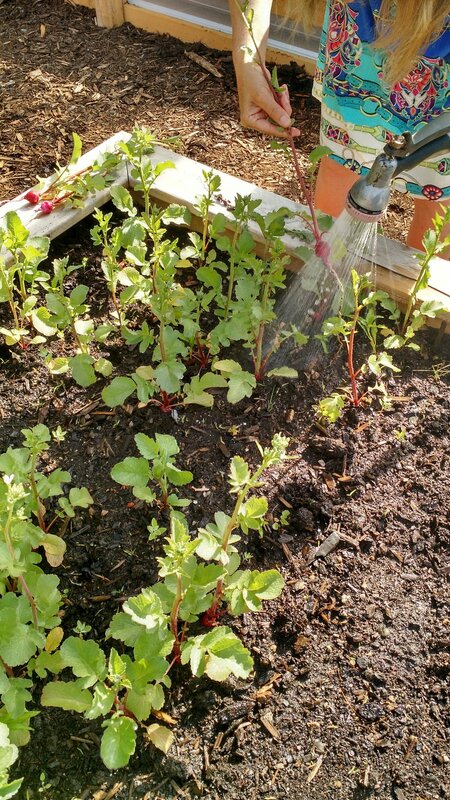 In this part of bed #7: Radishes! There was no way that we would be able to fill these by hand. As it was, it took the mini excavator 3.5 hours to fill all of the beds! PAVIA GARDENS UPDATE - Pavia owner Victoria Foulger spreading bark mulch between beds: started. Archway between beds to grow beans or cucs or zucchini or something: started. 10 wheelbarrow loads of soil to full 1/4 of one bed: completed. Mini excavator booked for tomorrow to do the other 11 3/4 beds: BOOKED! After weeks of work, the beds were finally moved into place. What a job! They were much heavier than expected and, of course, the ground was not close to being level. Next step, levelling and soil. 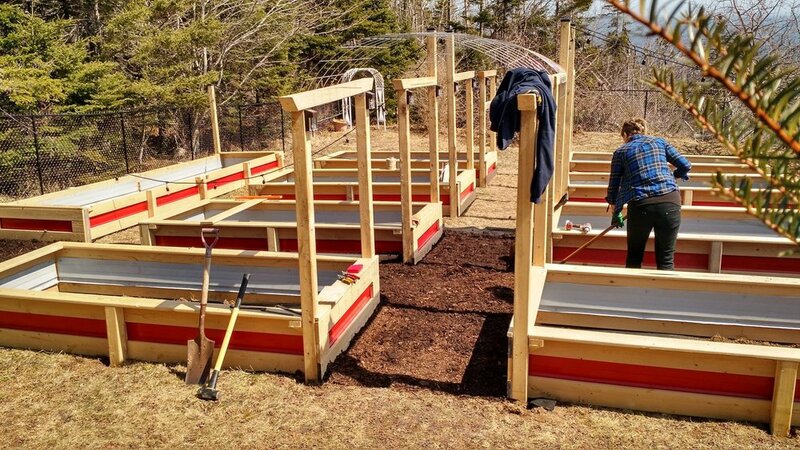 Wit all of the lovely yet somewhat depressing 'Spring' snowstorm pics this morning, yesterday PAVIA started building raised beds for our vegetable gardens. This one is 85% there! Right now it stands as an optimistic sculptural hope for spring weather! We have created a make-shift greenhouse in our living room. So far so good! Big News from PAVIA! 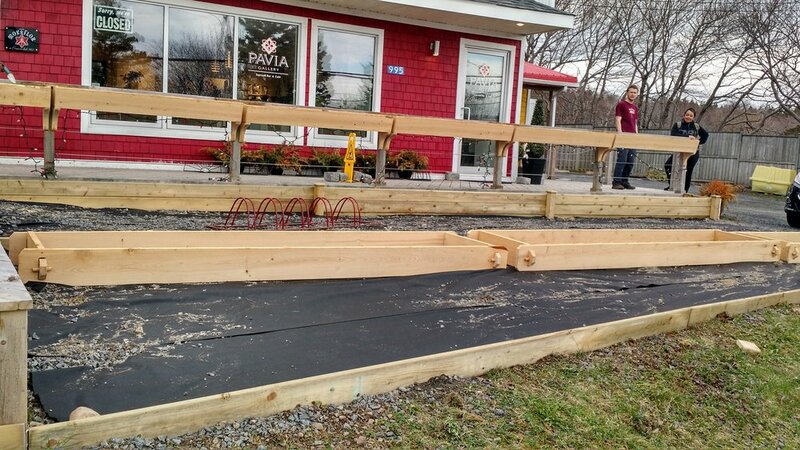 Starting this spring, PAVIA will be creating their own gardens. This means that many of the ingredients from the savoury foods that we make, we will be growing ourselves. Just yesterday PAVIA owner Victoria Foulger met with Susan & Rodney from Free Spirit Farm at the future site of the gardens to start putting a plan in place. More info to come...but we are excited to start the process! 'The Fall of the Holy Roman Empire' featuring the works of Nova Scotian visual artist Christopher Webb along with the words of Dr. Rev. Lennett J. Anderson and Dr. David Howard.